Streetcars were once an important mode of transportation in Washington, D.C. but buses, which had many advantages over streetcars, including not having to travel on tracks, eventually became the more popular form of public transportation. The streetcar system in Washington, D.C. was dismantled in the early 1960s and the last streetcar ran on January 28, 1962. 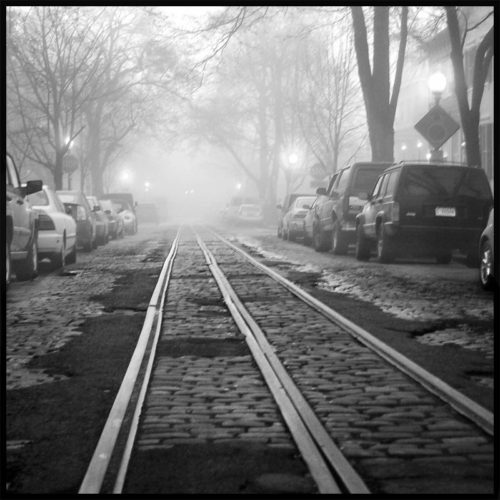 But some vestiges of the old streetcar system still remain, including these tracks running along P Street, NW in Georgetown.